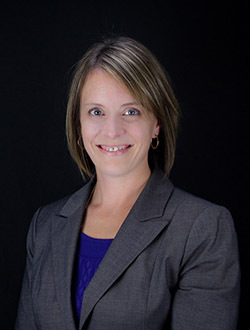 Ms. Shannon Strank has 13 years of experience as a mechanical engineering. She has participated in research at the University of Texas Center for Electromechanics (UT-CEM) for the past 7 years. Her early research responsibilities were primarily focused on dynamic simulation of electro-mechanical systems for the DOD, Ms. Strank was often the architect of the dynamic simulation model representations of a system or subsystem for testing purposes. Building simulation models provided her with exposure to application across numerous fields, including aviation, agriculture, defense, transportation, and more. Dynamic simulations of real-world prototypes are often multi-disciplinary, requiring the development and incorporation of control algorithms, flexible elements represented using finite element meshing, and the incorporation of field test data for the simulation of real-world recorded data. This breadth of exposure really drove Ms. Strank toward program development. Following her MBA from The University of Texas at Austin, Ms. Strank became the Assistant Director for the Center for Electromechanics. She works closely with Center Program Managers in implementing a complete funding strategy. She identifies and interacts with potential research sponsors, including individuals, corporations and foundations, to ensure that CEM maintains diverse funding sources toward world changing research. At CEM, relationships with all stakeholders are essential to the Center’s success. Ms. Strank manages communication of CEM’s accomplishments and activities both within UT and to external partners. In addition, she leverages her experience as both a mechanical engineer and a business manager to transfer novel technologies to the ever changing needs of industry.